It’s no secret that both adults and kids love Marvel characters. The admiration is so strong that green makeup implies the great hulk. From hulks incredible strength to indestructible nature, this character portrays a unique meaning that is unmatched. 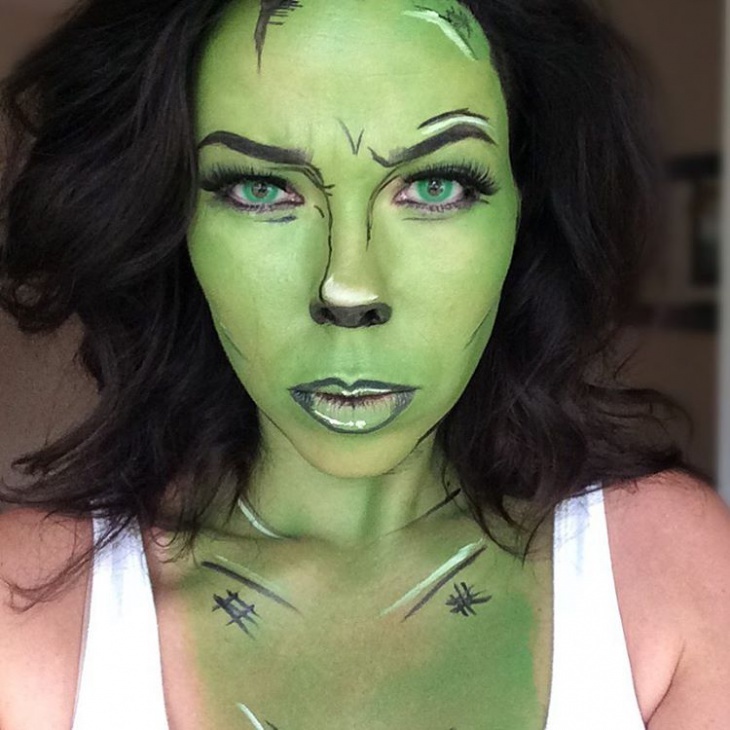 While hulks standard character is male, women have also use fantasy makeup ideas to recreate the She-Hulk. So, whether for Halloween or costume party, one of these hulk-makeup ideas can help you recreate the Hulk. Halloween is a perfect time to paint on that superhero that you’ve always admired. Girls will love the she-hulk because she portrays strength without losing the feminine traits. 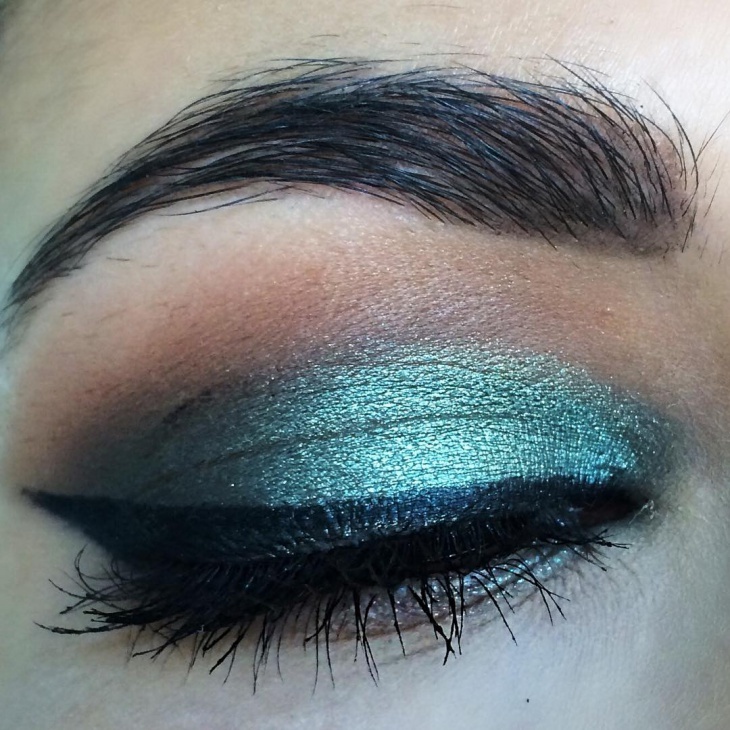 Opt for green and black makeup to create that bold contrast. 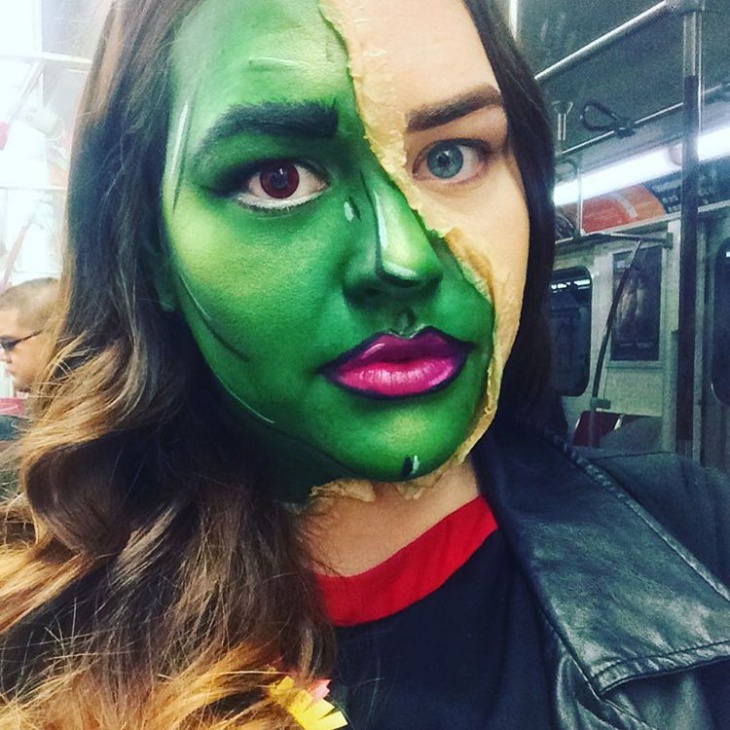 When it comes to recreating the hulk, green makeup is essential. You can further add bright yellow shades of color to bring out a more daring look. Go for intense black makeup around the eyes to create an angry look. 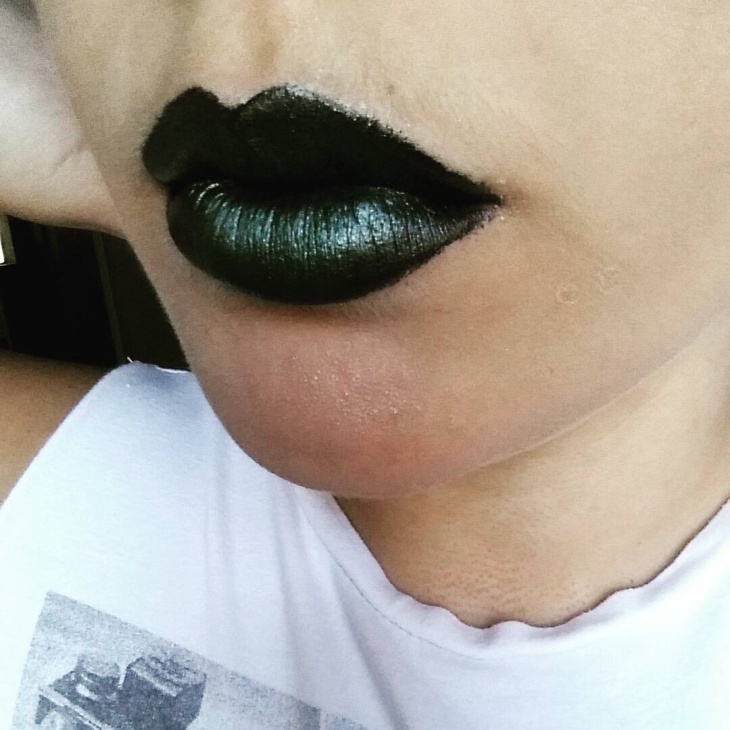 The darker the green color, the better you can recreate Hulk. 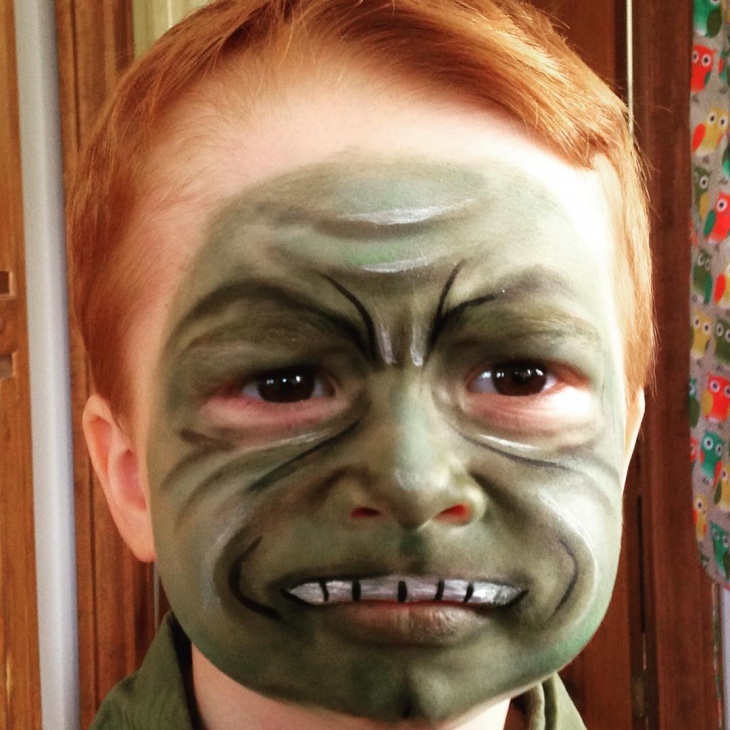 The green Hulk makeup with white shades around the eyebrow will help your character stand out. Use black and white shades around the mouth to give your Hulk a smile. Why not give people a face to remember this Halloween? Opt for a Hulk half face design. Add a fun look by inserting the green shade in a black pattern. If you’re not too comfortable with the bold Hulk makeup, you can still embrace this marvel character by opting for a Hulk eye makeup. 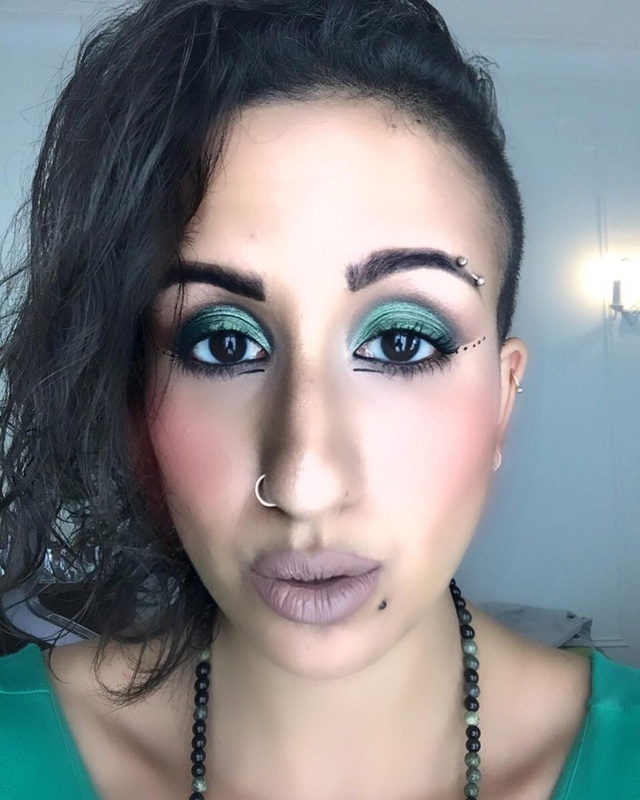 Use a green lipstick and elaborate the edges using a black eye pencil and add glitters to the green eyeshadow. 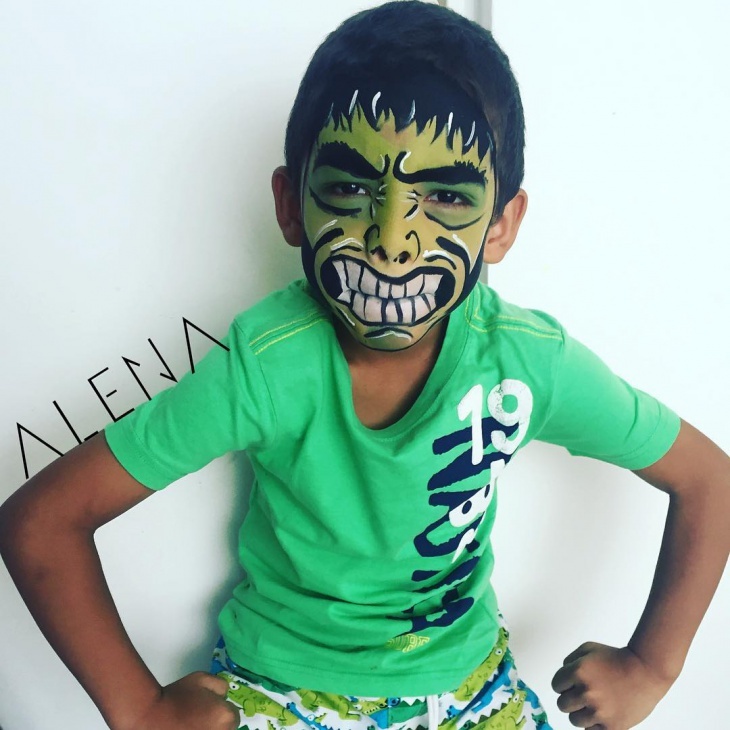 While most girls will prefer to add a cute element to the Hulk, you can portray your feminine strength by opting for a scary Hulk makeover. 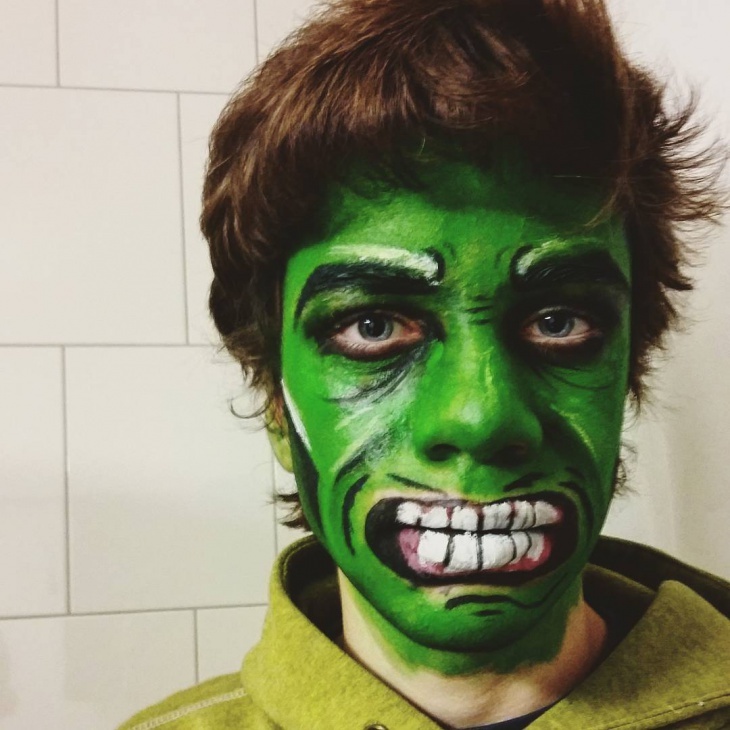 Use scary makeup to bring out the intimidating trait of the Hulk. 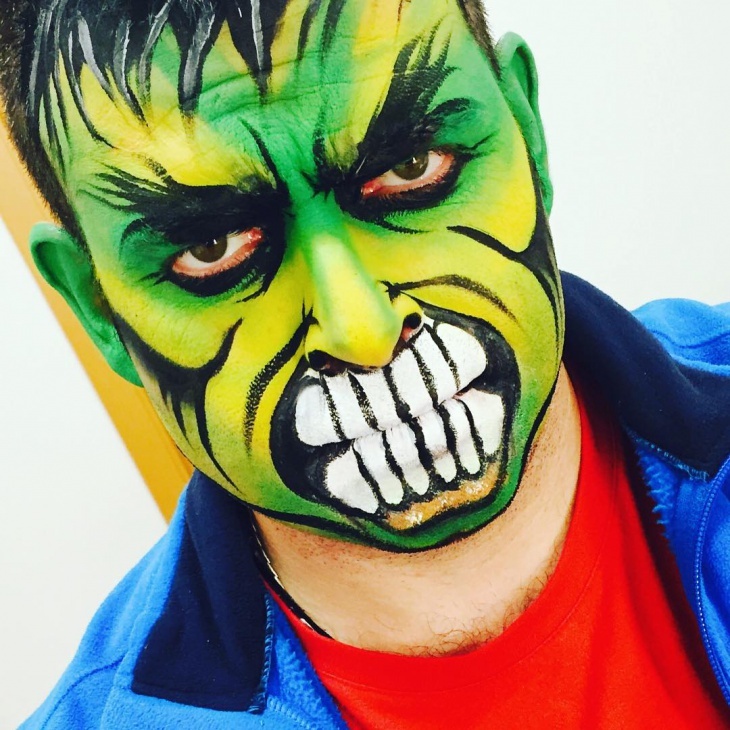 Are you uncomfortable with the Hulk makeup? Well, you can still use the Quinceanera queen makeup to give Hulk a makeover. 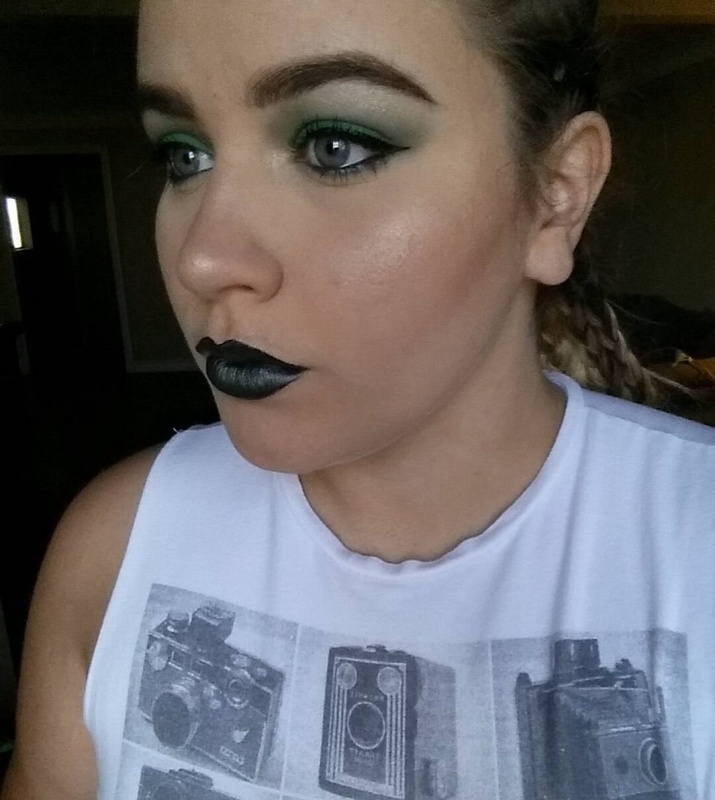 Slight eyeshadows at the edges and a dark green lipstick will do the trick. The eyes can show emotion such as anger that is often associated with Hulk. To make the eyes stand out, apply green eye shadow and use a black makeup to define the edges of your eyes and complete the look with green eye lenses. Another bold, yet cute look for the magnificent green Hulk. 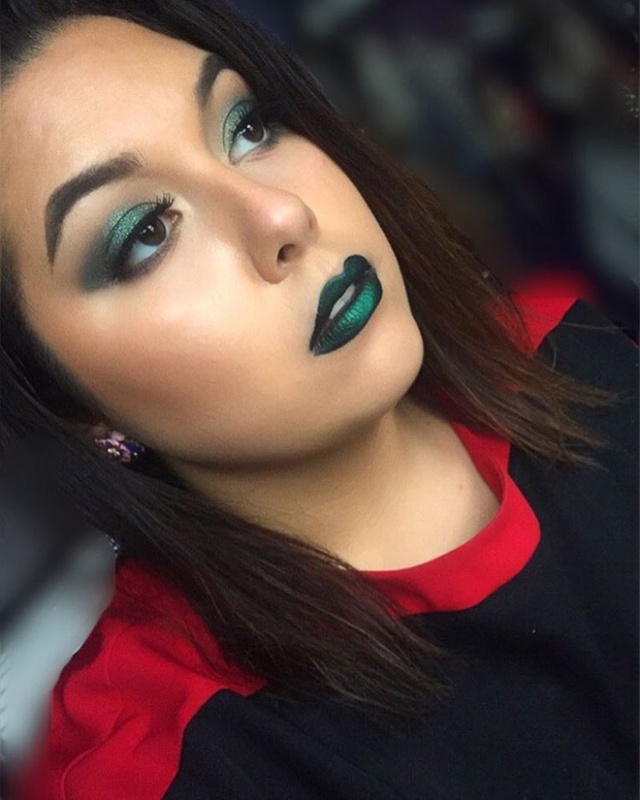 Use different shades of green to recreate a unique Hulk and make the eyebrows arched, thick and very black for a dramatic effect. 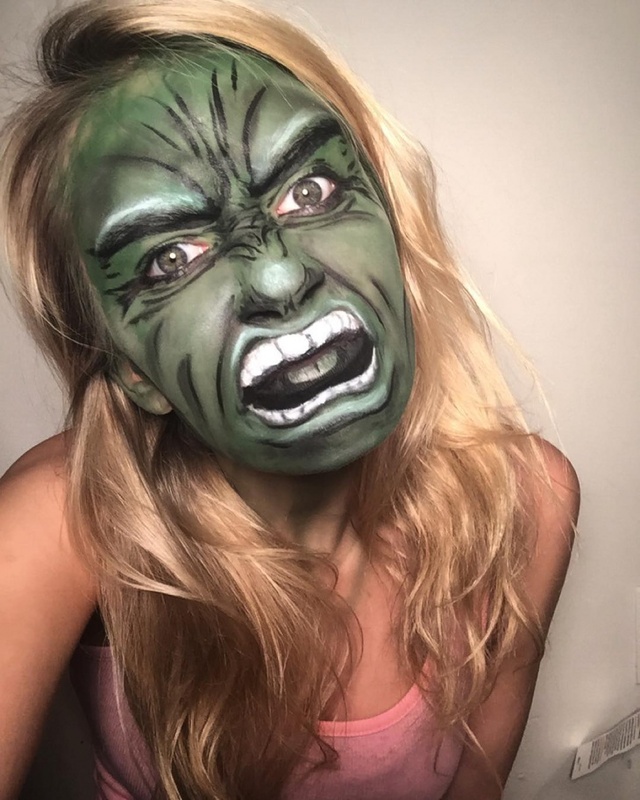 How to paint your face like She-Hulk? Cover your face and ears using a green fantasy makeup and use white eyeliner to map out your best design. Use black makeup to highlight your nose and eyebrows and then apply a green eye shadow on the contours of the cheek and eyes. Using white and black liquid eyeliner, design the teeth and gums. 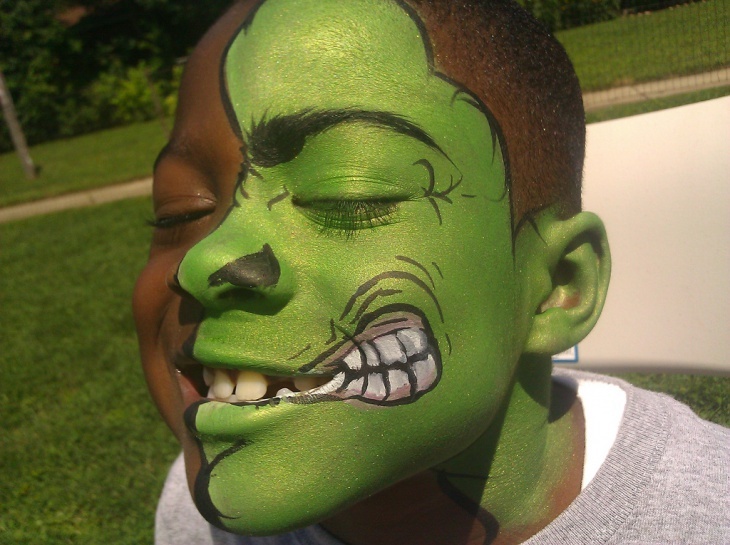 With Hulk makeup, fans all over the world can recreate this green monster for a costume party or Halloween. Girls who prefer a cute look can opt for Jasmine makeup design to achieve that princess look. 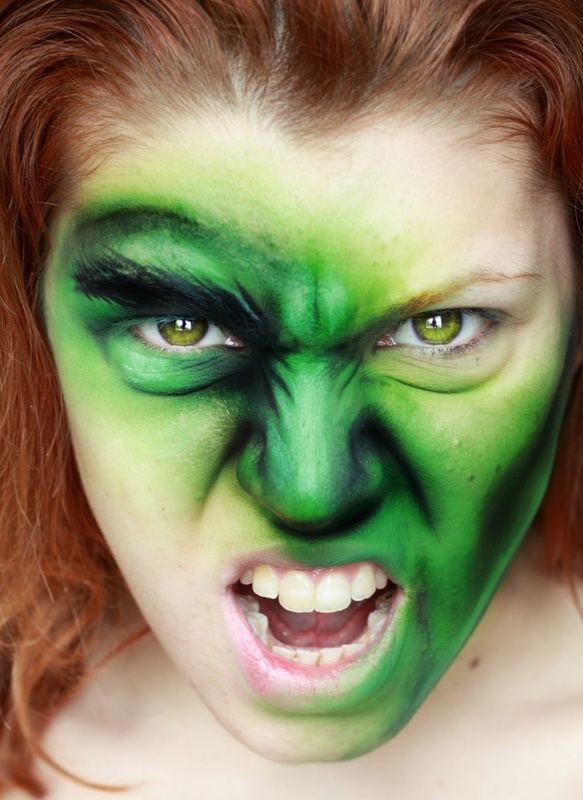 Either way Hulk makeup is perfect for males and females of all ages.